"Metaphors are the organizing tool for cultural communication and political discourse. No political or social change takes place without effective use of metaphor." Models, analogies and metaphors, from Physics to Poetry, of which involve a SourceTarget relationship. There is a translation from the established aura of facts, regularities, mechanisms and meanings of the Source to those of the Target. This translation suggests a means of transferring inferences for the Source into inferences for the Target. There is an “installed base” of meanings for the word “lap.” All have appropriate meanings for different aspects of LAP. Lap: The rotating wheel that gives the lapidary its name...used with abrasive or polish to bring out the facets or beauty in stones and gems. 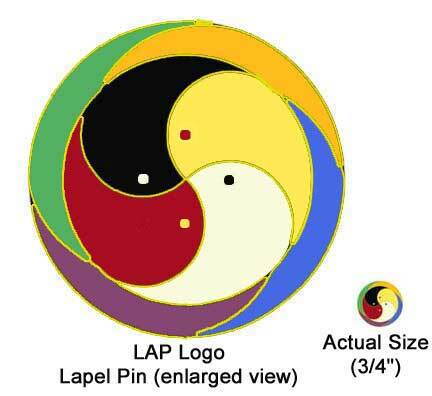 Lap: A process in which multiple layers are bonded or pieces are fit with such close tolerance that they effectively become one. Lap: A process of overlapping material, such as wood, to weather proof a house or make a vessel sea worthy.